Before you rush out to buy yourself a roof-rack, talk to experienced travellers and read up about all the nitty gritty. Consider the advantages and disadvantages carefully before you buy. Roof-racks make it possible to carry awkward, dirty or dangerous items outside of the vehicle cabin. People typically use them to transport items like camping equipment, firewood or gas cylinders. Unfortunately roof-racks also have disadvantages. Items are more difficult to reach on a roof-rack and a loaded roof-rack can increase your vehicle’s fuel consumption. Many types of roof-racks significantly add to wind noise while travelling. The sturdier types may not be able to flex as much as your vehicle on very uneven terrain and could damage your vehicle’s roof or its pillars, especially when mounted too rigidly. Any items on the roof-rack, but especially heavy ones like a second spare wheel or toolbox, raise your vehicle’s centre of gravity and reduce handling stability. If the gap between the front of your roof-rack and the roof of your vehicle snag low-hanging branches you can consider fitting branch deflector cables. 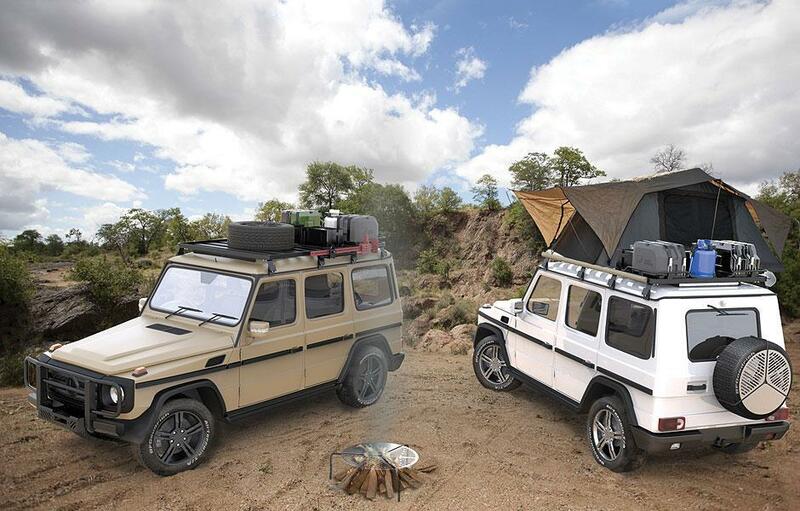 There are various kinds of roof-racks available on the market, like that of Frontrunner, Hannibal, Rhino-Rack, and Thule, to name just a few. Instead of the traditional rack you can also consider fitting a box to your roof for extra storage space.